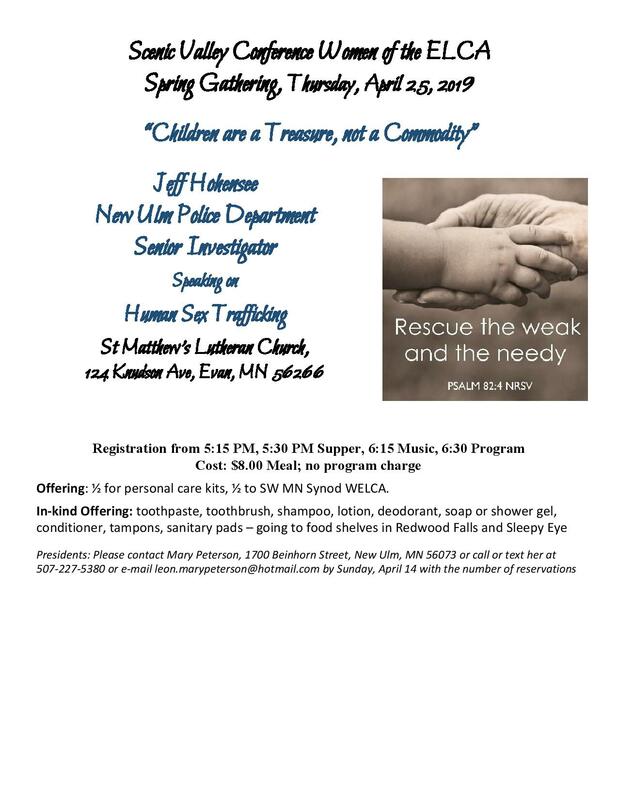 Southwestern Minnesota Women of the ELCA is a partner organization of the Southwestern Minnesota Synod of the Evangelical Lutheran Church in America. 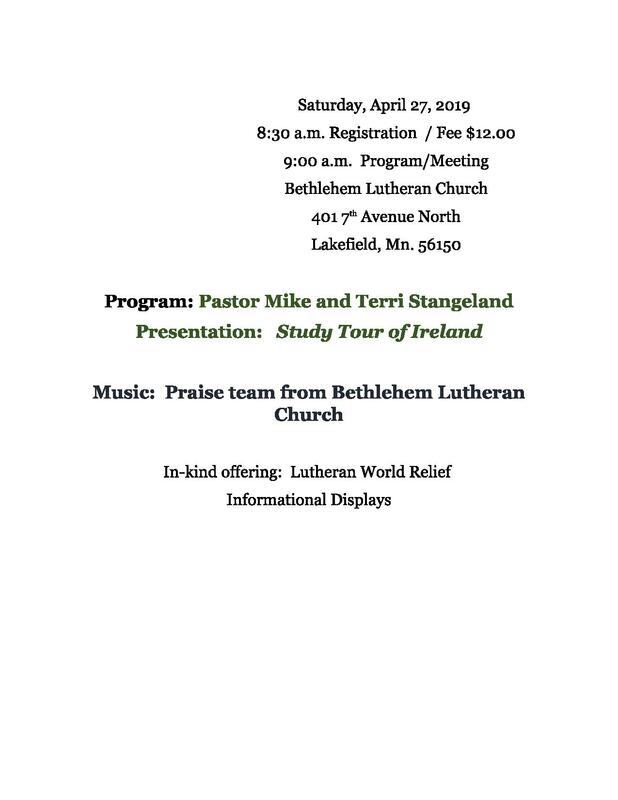 We provide support for the Synod on many mission areas including local and global mission, faith formation and support for women clergy leaders. 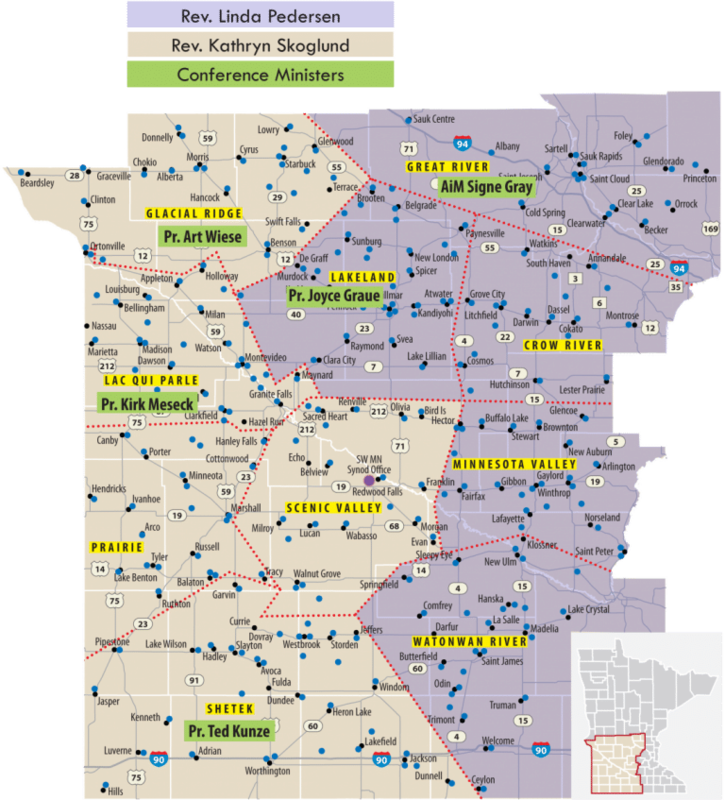 Our Synod spans the region of Southwest Minnesota from Ortonville, MN to Saint Peter, MN. 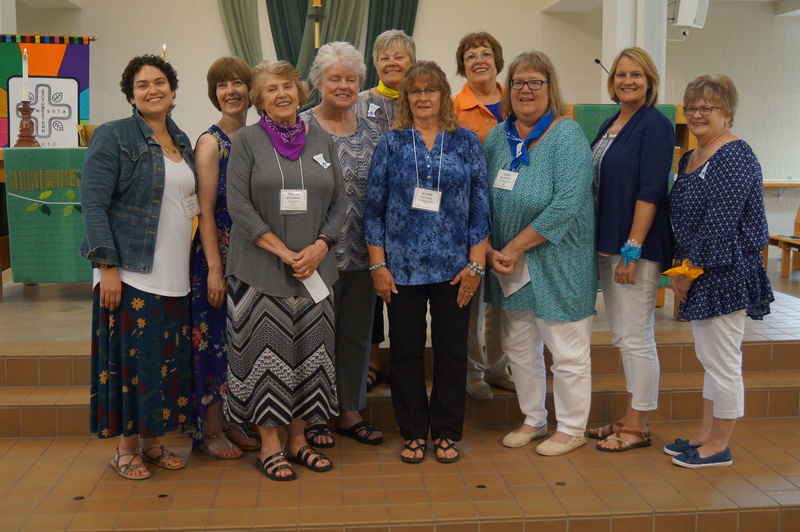 We currently are made up of ten conferences that each have an active WELCA board leaders to serve the women of their conference.